Since the first television commercials were aired in the 1940s, TV advertising has become one of the primary avenues of marketing pursued by businesses. It is difficult to overstate the influence of television on the daily lives of the millions of people who tune in every day; one needs look no further than the annual ritual of NFL Super Bowl commercials to understand the vast impact that television commercials have. Why is this advertising medium so effective? And more importantly, can it retain its impact while being adapted to local audiences? Advertising in Baton Rouge can be a tough market to tackle, but TV advertising in Baton Rouge is a proven way to get more general exposure for your company as well as quality brand recognition. Television commercials are a powerful medium of advertising partly because the underlying technology is so flexibile. 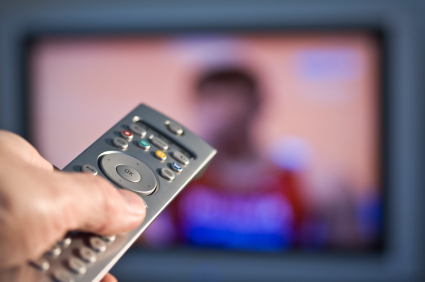 Unlike print or radio ads, TV commercials allow you use both video and audio to communicate your message. Not only can more information be transmitted to the viewer, but video and audio can reinforce each other and increase the impact of both. Think of some of the recent television commercials you’ve seen, then imagine them with video but no audio, or with audio but no video. By appealing to two senses instead of one, TV commercials have the potential to be a much more impactful experience for the viewer. In addition, the barrier to entry for high-quality TV commercials been drastically reduced since the first days of television commercials. HD video, high-quality audio, and motion graphics are within the realm of possibility for even an affordable TV commercial production company. The democratization of the internet and ease of publishing also means that they can help spread your marketing messages to as many channels as possible. You don’t need a multi-million dollar advertising budget to produce and air a television commercial. Local TV commercial production firms can help you produce a commercial that displays your advertising messages using this high-impact medium, and media buying agencies can procure space with local television stations for your spot. Local television advertising has several benefits over larger campaigns: it reaches a more targeted audience on a smaller budget, it increases your brand’s visibility among the consumers who are most likely to be interested in it, and it allows you to tailor your ads to a more specific demographic. Estimates of television viewing time for the average individual generally falls around four and a half hours a day. Take advantage of that significant viewing time by reaching consumers through a medium capable of communicating powerful messages that can make your brand a household name.